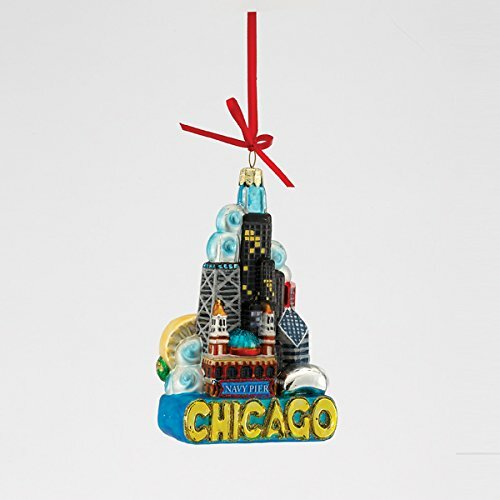 You might be looking for city of Chicago Christmas ornaments if you love the city of Chicago. Maybe you live there, or used to live there. Maybe you’re going to school there or used to go to school there. 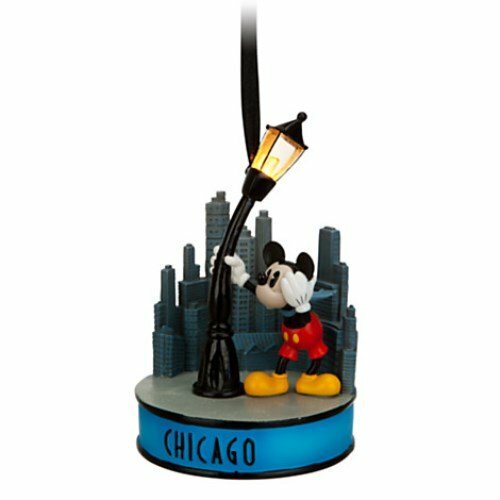 My son fondly remembers his time going to school in Chicago and seeing some of the famous landmarks such as The Bean. 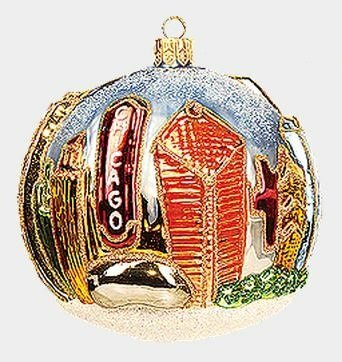 A Chicago Christmas tree ornament would make a nice gift for someone who loves the city or has special memories of it. 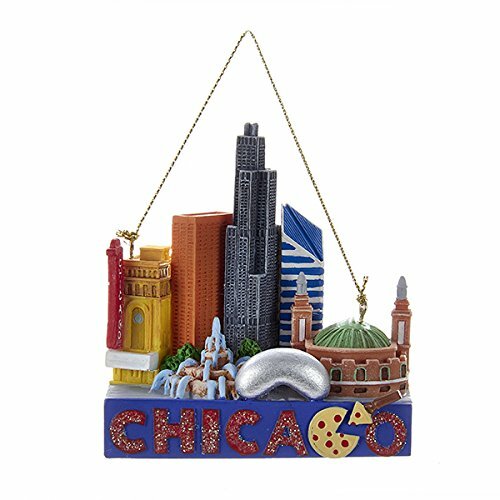 We have a great selection of Chicago ornaments depicting famous buildings, skyscapers, and landmarks of the Windy City. 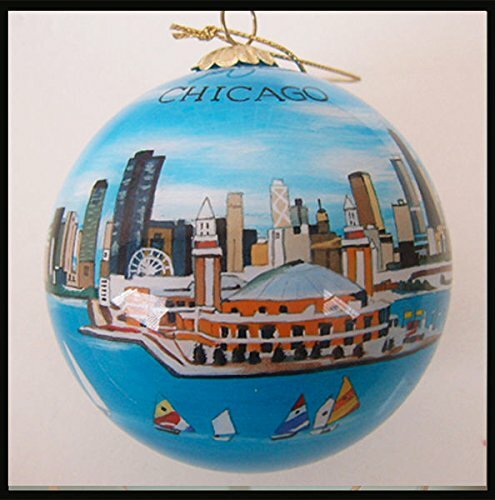 The The Daley Plaza ornament shown here is made in Poland where it was hand painted and decorated. 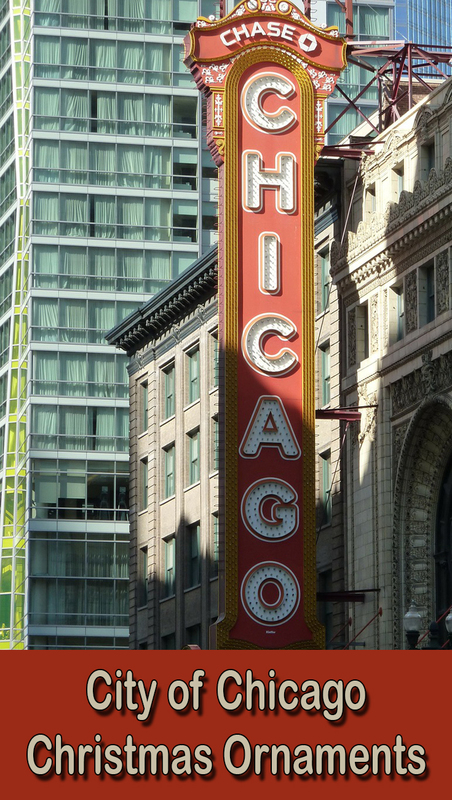 Daley Plaza is located in the heart of downtown Chicago. 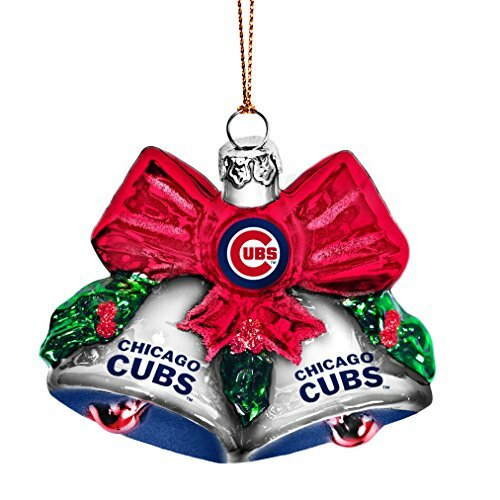 A Chicago ornament does not have to be reserved for Christmas. 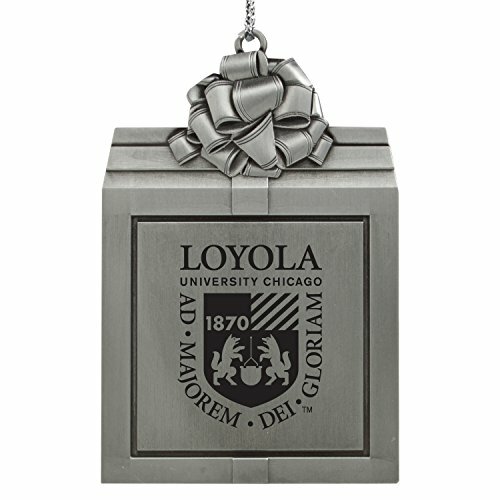 It would be a special gift for any occasion. For Washington DC ornaments click here. 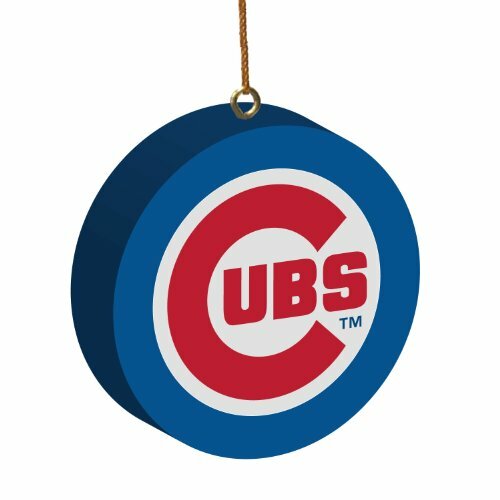 This is the year to celebrate the Chicago Cubbies! 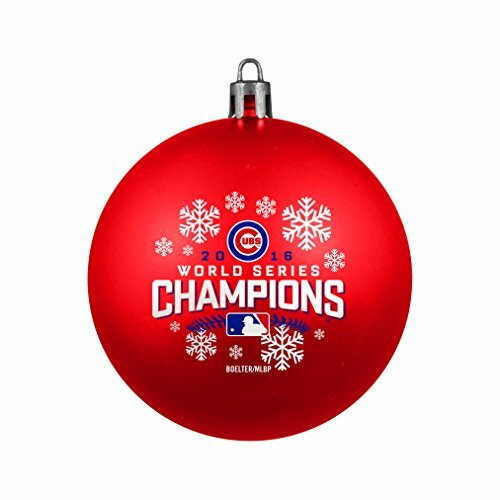 They won the World Series which is quite an accomplishment. 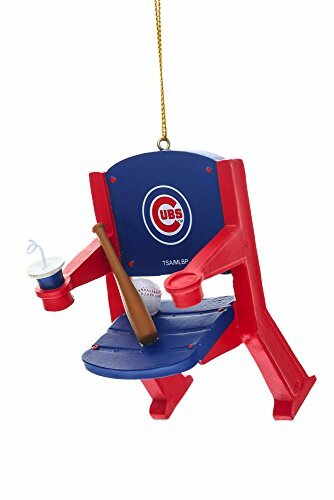 Cubs fans have been waiting for a long time. 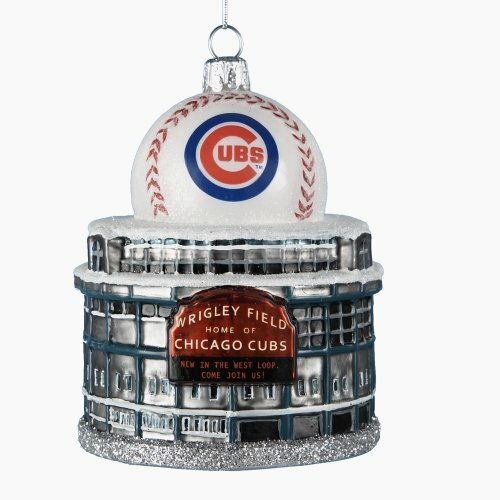 Here’s a rendition of the famous Wrigley Field, the baseball stadium on Chicago’s north side and home of the Chicago Cubs. 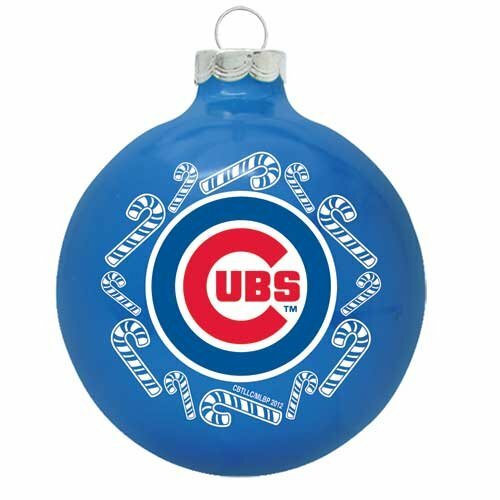 What a great gift for a Cubbies fan! 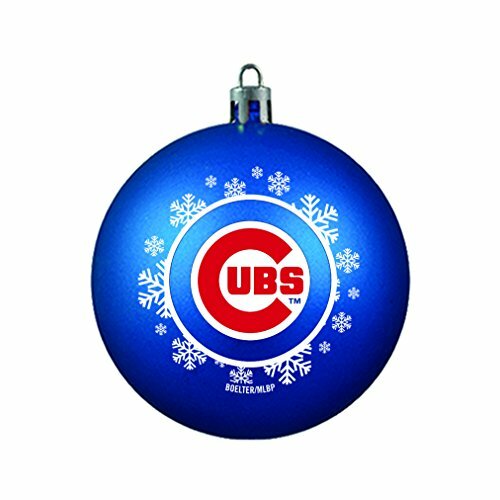 Wrigley Field is full of nostalgic memories for many baseball fans. 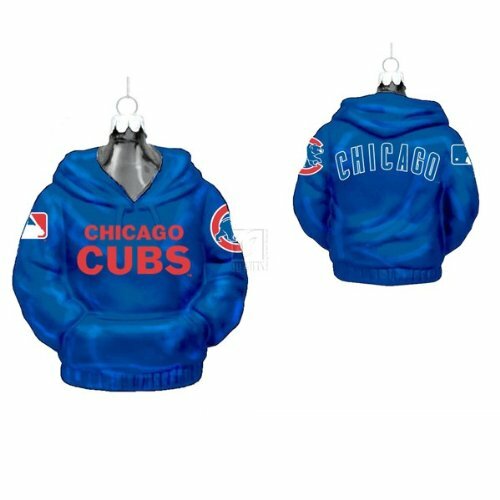 There are other Cubs souvenir ornament such as a glove and baseball, a stadium seat, and Cubs hoodies. 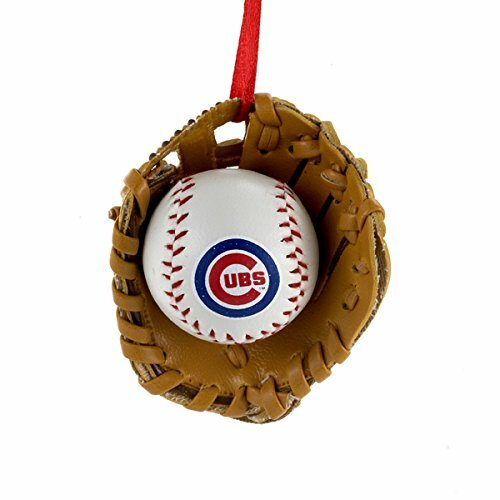 Be sure to get an ornament to remember this momentous year for the Cubs! 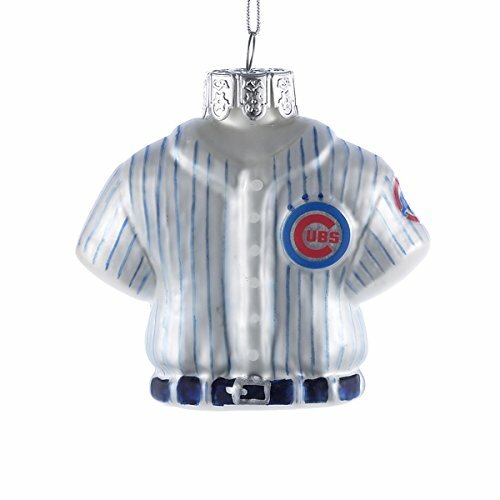 Great gifts for your favorite Cubs fans! 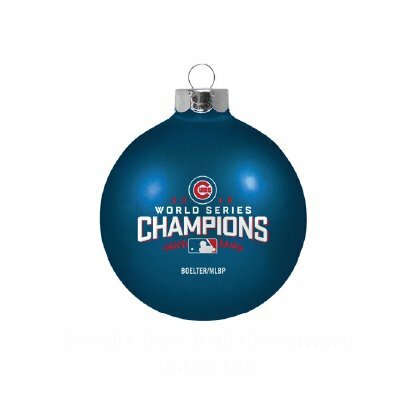 Do you know someone who would really appreciate one of these ornaments? 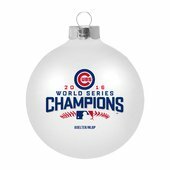 It’s not too early to think about picking up Christmas ornaments either for yourself or for gifts. The sculpture is officially known as Cloud Gate but everyone calls it “The Bean” for obvious reasons. 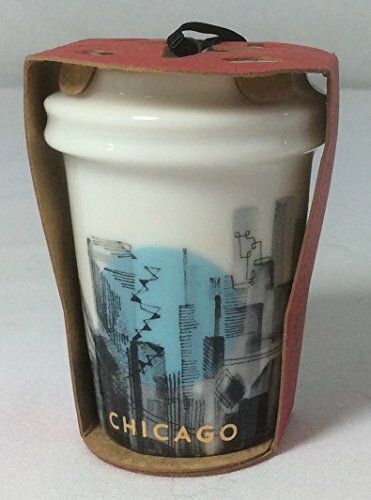 It’s located at the promenade at Chicago Millennial Park. 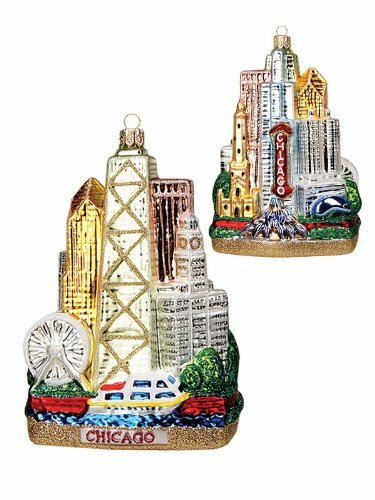 It’s a popular spot and a good place to take vacation shots, and it’s a good city of Chicago Christmas ornament to hang on your Christmas tree! 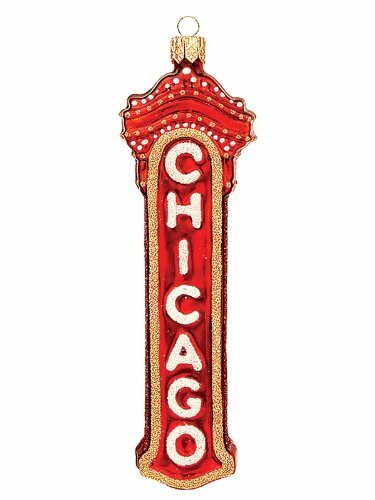 This is a 2015 City ornament by Christopher Radko. 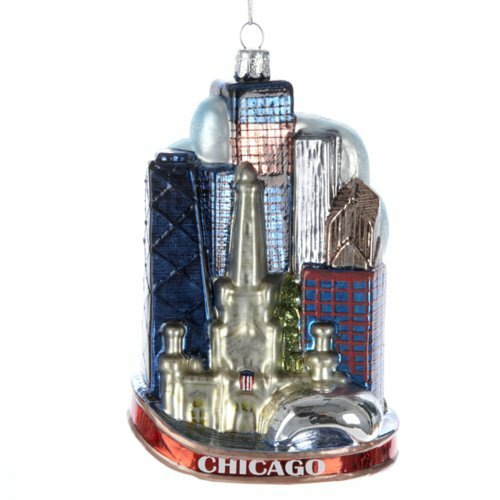 This is a 5″ tall glass ornament featuring Chicago at night with several famous Chicago landmarks. 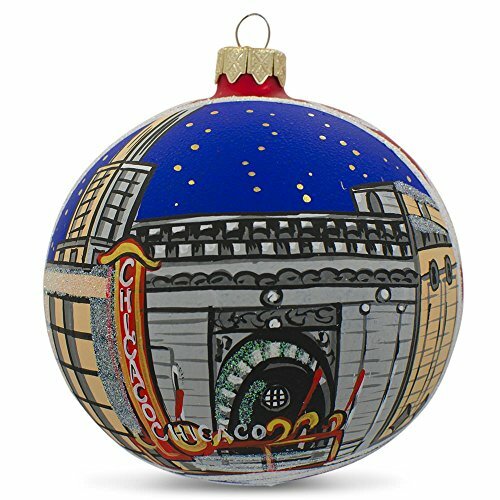 A festive wreath of holly surrounds the night time scene of this mouth blown glass ornament which is made in Poland like all Christopher Radko Old World style Christmas ornaments. 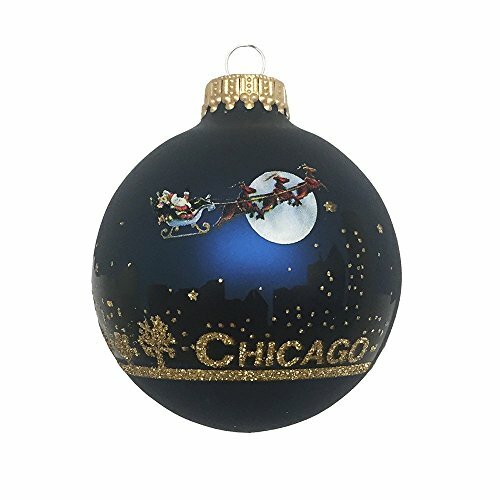 You can see the outline of Santa and his reindeer against the full moon rising above the Chicago skyline.